Luxury Gift Baskets - Perfect for Mother's Day! With Mother's Day fast approaching I am searching for great gifts, both for my mom and mother-in-law. As you know last week we featured LIV IT UP Home Decor in a post entitled Gifts that Give Back. 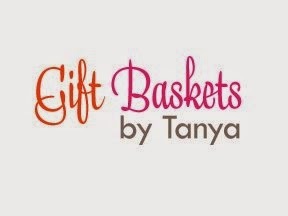 Today I would like to feature a local mom entrepreneur who creates fantastic, one-of-a-kind luxury gift baskets, Gift Baskets By Tanya. Local mom of four, Tanya creates Authentic Designer Brand Name Baskets. Her baskets are great for Baby, Bridal, Housewarming, Get Well, Retirement, Seasonal & Many Other Special Events that occur in our lives. She customizes each basket to suit your needs and budget. All baskets are made with the best quality brands and lots of passion. Take a peek below at some of her baskets! What a brilliant idea! Those baskets are awesome!